This article is part of our special report Sunlight at the end of the tunnel?. Almost 49,000 employees, about 3.7 million installations and a saving of more than 28 million tonnes of CO2 last year alone: the German solar industry is impressive. But it is going to need freer trade and new ideas if it is to remain an important player in Germany’s energy transition. EURACTIV Germany reports. In the 1990s, the German government introduced solar subsidies in order to boost the photovoltaic industry. As time went on, solar power was supposed to get so cheap that Berlin would not have to provide this support anymore. But it hasn’t quite panned out that way, as demand has not remained all that strong in Germany. Last year, the country’s total capacity was just under 1.5 gigawatts: about half what it was in 2013, when Germany could call on about 3.3 gigawatts. This hasn’t just led to a cut in production, there have been cases of bankruptcy and massive job losses too. Germany’s solar industry looked like it would no longer be the hyped “environmental industry” it was supposed to be and that it would fall victim to harsh economic and commercial realities. This is not necessarily all down to Germany’s renewable energies act (EEG) either, because its targets are essentially on the right path, said Dr Christian Westermeier, board director of SolarPower Europe. One of the biggest problems facing the industry is Europe’s trade measures. “The EEG aims to make solar power ever cheaper and thereby make the Energiewende (Germany’s energy transition) affordable for our society. To this end, tenders have been implemented for ground-mounted systems and for small rooftop installations. In both cases, the fixing of a minimum prise for Chinese solar products means that the costs of photovoltaic (PV) systems cannot decrease to the extent that is possible and actually needed. The cost of the Energiewende and the much criticised EEG levy are therefore artificially increased. For small rooftop systems we have now reached the paradoxical scenario that because of the low installation speed in Germany, the feed-in tariffs for new systems will increase for the first time!” said Westermeier. Cheap Asian components provide massive competition to the European solar market. Current statistics show that China is still the biggest manufacturer worldwide of PV cells by sales, followed by Canadian Solar, with a sales volume of around 4.7 gigawatts. 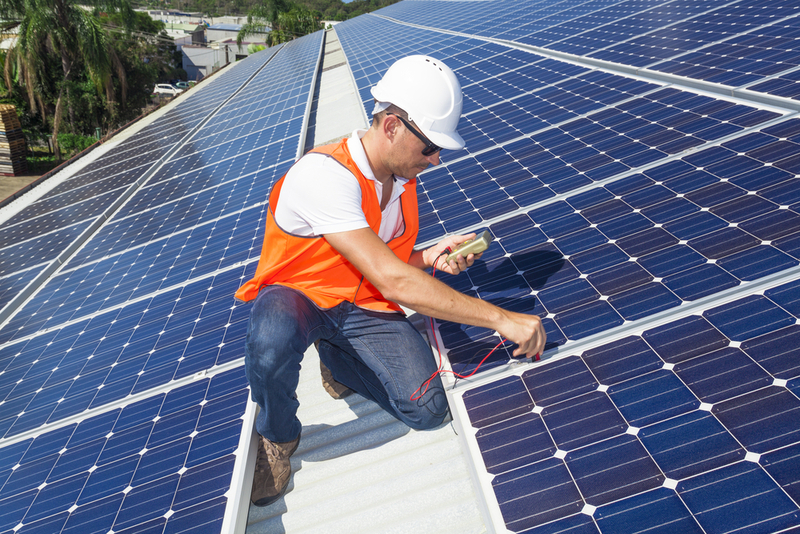 In order to protect the European market, the EU introduced anti-dumping and anti-subsidy duties in 2013 on all solar cells and components imported from China, establishing a minimum import price (MIP) at which they must be sold. There has been little success, even in Germany, as a result. More and more Chinese PV cells and modules ignore the agreed minimum agreement, while European products are still subject to the minimum price. The industry believes itself to be suffering from impaired growth and competition. “Artificially high module prices in the EU means that the reduction in feed-in rate cannot compensate and have contributed to the collapse of PVs in Germany and the EU,” insisted Westermeier. In his view, the trade restrictions on Chinese solar mean that global competition will thwart the most efficient technologies and deny us the best prices, even if many cell and module producer intermediary products source their wafers, aluminium frames and junction boxes from China and other Asian countries. “It is precisely because of this price stagnation that the entire industry suffers. If PV products in Germany and Europe cannot follow global price trends because of trade measures, then the industry is not going to experience any growth. It’s unfortunate that Germany cannot tap into this potential for job creation and creating added value,” Westermerier criticised. While German solar companies may long for an end to the trade restrictions and go on the hunt for alternatives, the European Commission is looking into its expiry review of trade tariffs, which is set to be finalised by March 2017. An example of added value could be solar power storage. The potential is there: of the 1.5 million homes in Germany that have a solar system on their roofs, only 15,000 use storage systems, according to the industry’s association. The German government has recognised this fact and since 2013 has supported power storage systems in the solar sector, which has been extended up until 2018. Through innovative new business models and the elimination of trade restrictions, Germany could regain its place as a major solar player. It has to. In order for the ‘Energiewende’ (Energy change) to happen and for CO2 levels to decrease as planned, it needs a healthy solar industry. A Commission progress report, published in January 2011, calls for investment in renewable energy to be doubled from €35 billion to €70 billion to meet the EU's 2020 target (EURACTIV 31/01/11).